On Saturday 10th and Sunday 11th November the first round of the 2018 SKA Cup took place. Pool A competed on the Saturday, and Pool B on the Sunday. The competition offers a fantastic opportunity for clubs to compete for an additional trophy, enter teams with different players from across the club and is a real celebration of korfball participation in Scotland. The SKA were delighted that every club from the Scottish Korfball League entered at least 1 team, and we were also joined by Newcastle University. The first round sees teams compete in a round robin, with the 1st and 2nd place on each day competing in the gold medal and bronze medal matches respectively at the SKA Cup Finals Day in February. Last year these matches were fought between Edinburgh Mavericks (gold) and Glasgow (silver), and Edinburgh Mavericks (bronze) and Edinburgh City (4th place). Thanks to all teams who took part across the weekend, it was great to see players competing from across both of the Leagues and beyond. Thanks also to the SKA organisers for running the competition, as well as carrying out refereeing assessments and offering coaching development opportunities – through pairing up experienced coaches with developing coaches for the weekend. 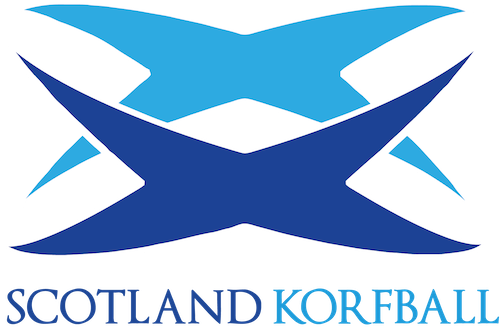 A great weekend for the development of korfball in Scotland. The SKA Cup Finals will take place in Dundee on Saturday 9th February 2019. As well as the finals themselves, the day will include the SKA All Star match, full details TBC.